Hey y’all! So I’m super, super excited today!!!!! 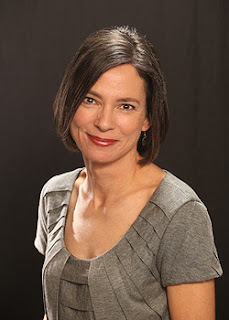 My friend the amazing author Katherine Longshore author of Gilt; and the rocking people at Penguin Teen have asked me here at Two Chicks on Books to be the exclusive website for the title reveal of book 2 of her Tudor Series! Ooh and I also got to ask Katherine some questions about it so we get to know the main character in the book!!! This is sooooooooooooooooo awesome!!! So without further ado here’s the title! Want to know what Tarnish is about? So did I! And Katherine wrote a blog post called “Five things about book 2….” I looked at the hints in that post and asked my questions from there. Hint- "It opens at Greenwich Palace in the spring of 1523." Jaime- 1523 huh? So I'm guessing if my dates are correct that this will be about Mary Boleyn? Anne's sister? Katherine- Excellent deduction! But no, though Mary features in the book, she is not the main character. TARNISH is narrated by a young Anne Boleyn and I try to create a character destined to become the queen we know and love. Hint- "Henry VIII is much younger and much sexier than he was in GILT. But is he the main love interest? You'll have to read it to find out." Jaime- If Henry isn't the main love interest any hints as to who is? Maybe a description of his looks if not a name??? Hint- "There will be dancing, hunting, kissing, lies, betrayal, gambling, indifference, mistakes and redemption. But no beheadings." Jaime- Awww boo lol. Ok no beheadings but are there stays in the Tower? Will there be lots of travel like there was in Gilt? Ooh and will we get to meet Cardinal Wolsey? And yes, we get to see Cardinal Wolsey, hear his voice and feel his influence, but it wasn’t usual for a lowly maid to have much interaction with him. Hint-"Book 2 is one of the most fun, but also the most difficult book I've ever written (and no, GILT was not the first book I wrote!)" Jaime- How was the writing process different? Katherine- Because no one knew Anne would one day be queen, there was very little written about her early years at court – though we know she was one of Katherine of Aragon ’s maids in waiting. I had less actual history to work with than with GILT, but that proved to be very liberating and exciting. I also had Anne’s voice in my head from the very beginning – the character very much drove this novel. This made the writing intoxicating and fun, but also surprising when Anne didn’t follow my outline (she fell in love with the wrong guy!) I think because I felt so attached to her character I got very emotionally involved. With history as foresight, this was pretty heartbreaking, though as I said before, there are no executions in this novel. Hint -"It's scheduled to be published next summer. I wish I didn't have to wait that long to hear what you think!" Jaime- Oh I am dying to read it!!! Is there a set release date? What about a cover? When will we get to see the cover is it as gorgeous as Gilt??? 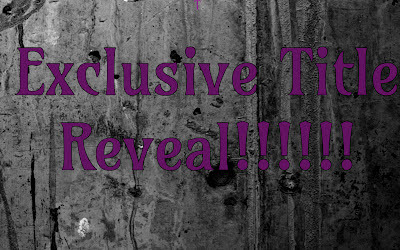 Katherine- Right now, the release is June 2013.. And the cover? Well, I’m waiting for it, too…though I’m sure it will be just as gorgeous as GILT’s, if not more so. The design team is fabulous! Haven’t read Gilt yet! Here’s the synopsis go get it! In the court of King Henry VIII, nothing is free-- and love comes at the highest price of all. When Kitty Tylney's best friend, Catherine Howard, worms her way into King Henry VIII's heart and brings Kitty to court, she's thrust into a world filled with fabulous gowns, sparkling jewels, and elegant parties. No longer stuck in Cat's shadow, Kitty's now caught between two men--the object of her affection and the object of her desire. But court is also full of secrets, lies, and sordid affairs, and as Kitty witnesses Cat's meteoric rise and fall as queen, she must figure out how to keep being a good friend when the price of telling the truth could literally be her head. I've always been a writer. I've been writing stories since I learned how to hold a pencil, asking my dad how to spell words while I worked under the bar stools at our kitchen counter. I played bit parts (including that of a catatonic in a mental institution—my only line was a scream) and grew into bigger roles on the high school stage. I spent five summers spouting Shakespeare beneath stars and redwoods, hoping one day to play Rosalind in As You Like It. I got an acting scholarship to a good university and went on to study acting and costume design for two years. But then I traveled on the Semester at Sea—a program on which students study on board a ship and travel around the world, visiting ten countries in one hundred days. It changed my life. I realized I didn't want to spend my entire life in a windowless black box (a theater) but in the greater world. So I created my own major, planning to use it to be a travel writer. I spent two months traveling Europe by train. I worked for nine months for the National Oceanographic and Atmospheric Association on a research boat as a steward (making beds and washing dishes) in order to earn the money to backpack around the world. The ship went to Chile and the Antarctic, and even stopped at Easter Island—one of the most remote locations in the Pacific Ocean. After so long at sea, I needed time on land, so I packed up my sister and her puppy in a beaten-down station wagon and drove across North America. And then I packed a single bag and flew to Africa. Alone. I spent five months in southern Africa—South Africa, Botswana, Namibia, Malawi, Zambia, but primarily Zimbabwe. I saw elephants and rhinos and kudu, was woken up from a dead sleep in a tent by the roar of lions and sat for hours on the banks of the Zambezi watching Victoria Falls. I spent the rest of that year in Southeast Asia—mostly eating coconut curry. After a few restless months at home, I traveled to Australia and New Zealand and completely depleted my travel fund. And then I went to England, invited by an Englishman I'd met in Zimbabwe. I went for two weeks and stayed for six months—I left the day before my visa expired—and the next year I married him. I lived in England for five years, in a little town in the county of Kent. I lived within spitting distance of Hever Castle—Anne Boleyn's childhood home. Penshurst Place, once owned by the Duke of Buckingham and Knole House, once owned by King Henry VIII himself were also nearby. I grew to love the English countryside—so different from the forests and volcanic mountains of California. And I came to love English history—so much more violent and colorful and ancient than my own. In the course of my life, I've worked as a dishwasher, lingerie seller, coffee barista, cake decorator, ship's steward, video rental clerk, freelance journalist, travel agent, waitress, contracts manager, bookseller and Montessori preschool teacher. But in writing for teens, I've finally found my calling. And through writing, I am able to encompass all my loves. Becoming a character made of words. Exploring new worlds. And living history. Ahhh! I cannot wait for Tarnish! I want it now. Can I have it now? Yay! That's awesome! I love the new title. Aw. It's going to be so sad the whole time knowing her eventual fate. Sounds so good though! Love the title. 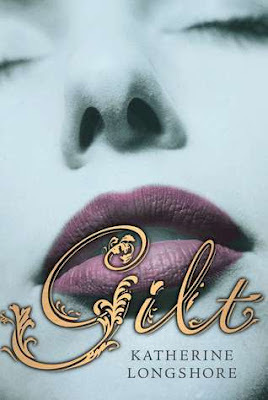 I haven't read Gilt, but I am sure it's fantastic since everyone seems super excited for this one!! I can't wait to read Tarnish! I loved Gilt and am excited to see Anne Boleyn's POV in Longshore's book. Can it be next summer already?! Oh the title is even better than the first. It's perfect! And I can't wait to read this book that was the most challenging to write. The history sounds fascinating. I really must pick up GILT right now! So thrilled you got to reveal the title! @Rachel, I do hope you enjoy GILT! And @Anna, your response just made my day.